Roger Martin: Yes. Innovation is taking out of a mystery some form of understanding that enables you to focus on some things rather than others. In some sense that is a simplification. I consider it more of an extraction. You extract out of a broad, mysterious cloud the things that help you make sense of what you are seeing. That's a heuristic. Heuristics are ways of thinking about a mystery that helps us better understand it. Consider the mystery of gravity. We have the mystery of why things fall to earth. An apple fell on Newton's head and he said, "Ah, there's a universal force that I'm going to call 'gravity' that pushes everything down." It's extracting out one explanation from all the possible reasons. It could be due to the gods, wind, animal spirits, or any number of other possibilities. "No," he said, "it's a universal force." This happens in medicine where researchers asked, why do people get Cystic Fibrosis? In due course they figured out it's because a specific gene has problems, and then Cystic Fibrosis ceased to be a mystery. An algorithm is an explicit, step-by-step procedure or formula for solving a problem. The ultimate is the ability to codify it into computer software. As organizations push knowledge forward in the knowledge funnel from mystery to heuristic to algorithm things can be done more efficiently and costs reduced. This means that any organization that can convert mysteries to heuristics to algorithms faster will have an advantage, and they will be able to proceed to solve the next mystery. VB: Are the best innovators those who are able to recognize there is a mystery? Roger Martin: I would be more inclined to say that the best innovators recognize mysteries, and are brave enough to dive into them. Dealing with mysteries is one of the hardest things to do. You don't know what to pay attention to. You don't know where to start. That's the tricky thing. When you've got a heuristic, you know where to start, and what to do. With a mystery you don't know where to start so it takes a lot of bravery to dive in and try to figure out what's going on. VB: How can the concept of the knowledge funnel assist companies in reviewing and changing their business models? Roger Martin: It can help you understand your business model if you ask at what stage of the knowledge funnel are you with the various aspects of your business. Are you at the algorithm, heuristic, or the mystery stage? The knowledge funnel can remind you what you've left out to get to an algorithm especially if you're at the heuristic or algorithm stage. Advancing knowledge means identifying what is left out. The more you leave out, the more it can come back to haunt you. The concept of the knowledge funnel could have helped a company like McDonalds where the assumption was that people want to eat quickly – steam cooked beef, deep fried potatoes, and sugar and milk stirred together. McDonalds set about figuring out how to deliver this food as efficiently and effectively as possible. If they had been using the knowledge funnel they'd have said, "Now what did we leave out to get to that algorithm?" "Oops; we left out health." Perhaps if they had used the knowledge funnel idea they would have looked at ways of bringing health into the menu before Subway beat them to the draw. VB: "…But new knowledge comes about by way of abductive reasoning, the logic of what might be." Would you talk about this "new way of thinking?" Roger Martin: Whether we know it or not, almost all of us were taught two forms of logic in grade school and if we went on to higher education. We were being taught deduction when we had to memorize the times table as young children. We were told that when you see 6 times 7 it's 42. The underlying assumption is somebody else figured this out long ago and it's 42 – trust me. So every time we see 6 times 7 we know a general rule applies: 6 times 7 is 42. We're taught lots of this type of deduction. We were also taught induction, which is what underlies statistics for example. We're taught that if you observe a thousand things and they are two standard deviations from the mean, then that must be significant. Abduction is seldom taught, if at all, in the formal educational system. Abduction is what do you do when you see something that does not have a deductive rule that's been handed down over time immemorial, and there are only a few data points – maybe only one data point. What do you do? In that situation, as Charles Sanders Peirce, the man who coined the term 'abduction' said, you've got to make a logical leap of the mind to form an inference of what is the best explanation. What's the best way I can understand what I see? This is abductive logic, and it's how all of the new ideas come into the world. I'm chagrined that we don't train youth about abductive logic. This means people don't see it as a legitimate form of logic, and, as a result, the business world is absolutely dominated by deduction and induction. And that's why there's a paucity of innovation. VB: Why is abductive logic not taught in the public education system or, for that matter, in universities and colleges? Roger Martin: It's partially because we've listened to Aristotle. Most of western thought is Aristotelian. It comes from Analytica Posteriora, his famous work that gave us the analytical method. Most people don't realize, and I didn't until an Australian friend of mine pointed it out to me, that in the last few pages of Analytica Posteriora, Aristotle warns the reader about the limitations of the methodology outlined in the book. He specifies, with a lovely turn of phrase, that this analytical methodology applies only for the part of the world 'where things cannot be other than they are'. A piece of granite may want to be something other than a piece of granite, but that's what it is. An oak tree is an oak tree. There are parts of the world that cannot be other than what they are. Aristotle was specific in limiting the utility of his methodology to that specific part of the world. And then he warned there's another part of the world 'where things can be other than they are', where deductive and inductive methodology does not work. What does he mean where things can be other than what they are? My relationship with you, for example, could have many variations. We could have an argument and it's a bad relationship. We could be friendly and it could be a good relationship. Aristotle pointed out that for this type of phenomena there's a different form of logic, which he referred to as "rhetoric". He wrote a whole book about how you operate in that world. Through the process of dialogue we discover and create things that do not now exist. I think western thought fell in love with Aristotle without really understanding the limits to what Aristotle said about logic, and then applied Aristotelian thinking to everything whereas Aristotle's message was don't do this. Apply deductive and inductive logic to areas where they are well suited, and don't apply it in other areas. Western thought and western education has bought Aristotelian thinking hook, line, and sinker and made everything analytical. But reality isn't that way. VB: The history of philosophy missed this point? Roger Martin: Yes; it happened in the Enlightenment period where people totally swallowed the analytical, scientific aspects and ignored anything that didn't fit this model. Our educational system is based on that thinking. VB: "This distinction, between reliability and validity, is at the heart of the innovation dilemma…. The tension can't be fully resolved but only balanced and managed, because reliability and validity are inherently incompatible." Is an inability to address this tension an explanation for the failure of many businesses? Roger Martin: Yes, it is particularly the explanation for the limited time many businesses are successful. Many businesses start out with a burst of validity – an entrepreneur saying, "I don't care what people think. This is going to work and I'm going to show people that it works." That entrepreneur tries something that is completely unreliable, seeking validity. Nine out of ten of them are completely wrong and are out of business within 18 months, but the other one-tenth create something of great value. Then what typically happens is they become ever more reliability-oriented. They go public, get a board, become obsessed with their quarterly earnings, and focus on governance processes, with the result they list entirely toward reliability. They lose touch and get beaten by companies that care more about validity. The only companies that have staying power tend to manage tensions between reliability and validity. The ones that don't are relatively short-lived. VB: That's a key lesson for business people? Roger Martin: I think so. There's a point at which you get into a terrible downward spiral. Often when things start to go badly, the response is to clamp down tighter, which technically means becoming more reliability-oriented. This typically worsens the problem, which raises the instinct to get more reliability-oriented and clamp down even more, and you're left with nothing. VB: An example might be when sales are declining. Roger Martin: Yes. Often receivers are brought in to make sure everything is organized as the ship goes down. Instead the owners, board of directors or shareholders should be saying, "Can't we turn this ship around? Isn't that what we ought to be thinking about?" Roger Martin: No, as is often the case. The intent was to create a comprehensive program that would provide P&G leaders with practical experience and a set of tools in design thinking. The intended outcome was that these leaders would learn a process for engaging in validity-oriented thinking in a creative, practical way. You get into these things, think they're a good idea, and you have no idea where they're heading – no idea. I guess I thought it was only going to be important for Proctor & Gamble. I probably should have thought that if it was important for a company as good as P&G it would be good for lots of other companies. But I would be lying if I said that I knew or even anticipated it was going to be as big as it is. VB: Was it one of the highlights of your career? 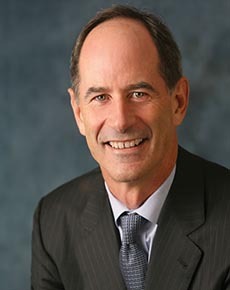 Roger Martin: Yes, it absolutely has been because I love Proctor and Gamble. I've worked with them for 25 years now. Of all the companies I've had any dealings with it's the company that's nearest and dearest to my heart. It was a pleasure to work with David Kelley and Patrick Whitney. We've created a life long friendship from this work. And it powered design work at the Rotman's School of Management, and this makes our students exceedingly happy. It's all a good thing. VB: In your experience working with business leaders have you found that many have difficulty making the changes necessary to ensure their companies become design-thinking businesses? Roger Martin: It's a real mix. There are a decent number of business people who have gotten so ensconced in the world of reliability – in their self-image about reliability – that it is hard for them to imagine doing anything but analyzing their way to success in an inductive and deductive way. That having been said there are some business leaders who are fundamentally transformed. They wake up and say, "Wow I can be different," and "I've always wanted to be more creative and allow my creativity to come out." So it is a mixture of the two. VB: Are design thinkers the true leaders? Roger Martin: I think so. I don't know any true leaders who analyzed their way to greatness. I just don't. VB: Leaders who use design thinking have a lot of intuition? Roger Martin: Yes. Lots of them hide it, which is one of the reasons people don't think intuition is as important as it really is. Lots of senior people think that everybody wants them to be analytical, and so when they're intuitive they describe what they've done intuitively in analytical terms. The result is everybody says, "Oh, these people are incredible analysts," although the truth is they are incredibly intuitive. VB: "Generally, the larger the company, the less likely it will be receptive to design thinking." You also point out that of the original Fortune 100 companies in 1955 only 11 are still on the list, and most either no longer exist or have become part of other companies. Should this serve as a warning to all business leaders? Roger Martin: I think so, yes. VB: It doesn't necessarily mean that big is bad? Roger Martin: No, big is just a challenge. You have probably made an error if you blindly go along thinking that big is just an unalloyed good. It's a real challenge. VB: You also say, "The bias toward reliability infects even corporate R&D departments, which you might think would be havens for design thinkers." How can this be avoided? Roger Martin: By having somebody head the R&D department who recognizes the reliability-validity tension, and doesn't accept the directions of the corporate head office that you have to be more consistent. This type of person recognizes that if the company wants the R&D department to be more consistent, they're going to get less validity. They're going to get more little wins that are merely incremental fine-tuning and refining of things that are already known. It's having that balance in mind between validity and reliability in order to promote design thinking. It's comparable to the view that eternal vigilance is the price of freedom. VB: In the coming decade are companies, which do not embrace design thinking almost certain to lose out to those that do? You call it the competitive advantage. Roger Martin: Yes. Any company that doesn't engage in design thinking has a very limited life cycle and competitive advantage. VB: Will this be increasingly the case in the 21st century? Roger Martin: I think so, although not homogenously across all industries. On average, the life cycle of the competitive advantage in most industries is shrinking. As the time horizon shrinks, the real question is how long you can last on the basis of having had one great idea, and then proceeding to exploit that idea for a long time? With the shrinking time horizon for products there is a greater need to revivify your competitiveness. Given this, you need methodologies, approaches, and mind-sets to achieve that revivification of advantage. It requires design thinking. VB: In an article in the Australian Financial Review in 2005 you said, "…we are on the cusp of a design revolution in business." Would you talk about this design revolution? 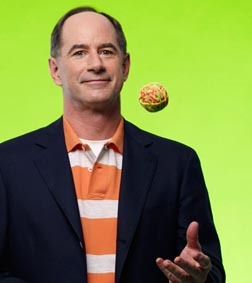 Roger Martin: It's now recognized that there's a powerful advantage in totally delighting your customers. This means that if you bring design thinking into the process of developing offerings for your customers, you will do much better with your products or services. This is becoming ever more evident. Companies are seeing many examples of this. Herman Miller launched the Aeron Chair at twice the price of leather task chairs at the time, and sold more of them than any other chair. The conclusion has to be if you get the design just right it really matters. Design has made Apple highly successful with the iPod and iPhone. Another example is Proctor & Gamble with its Olay product brand. Rather than selling it for $3.99, the price was about $18.99 because it's absolutely delightful stuff – not just perfectly fine stuff. Then with the next upgrade the price could perhaps be $24.99, and $50.00 after the next significant upgrade. It's becoming more evident to the world that the big breakthroughs and home runs come from design – it's all about design. VB: Is design-thinking integral to the stance and tools of graduates of the Rotman School of Management and, if so, does it give them a "leg up" in the business world? Roger Martin: We believe so but only time will tell. We've been teaching design thinking for the last 4 years since we brought DesignWorks from our Proctor and Gamble experience into our graduate program. Our graduates go out into the business world all charged up, and are getting good jobs. When they succeed as business leaders using design thinking we'll be able to say definitively that it gave them a leg up. I'm feeling pretty confident given experience to date, but ultimately the proof will be in the pudding. VB: Do you have any additional comments about how to open new paths to innovation by changing the way we think? Roger Martin: Yes. Don't use the two words "prove it." If you ban those two words from your vocabulary, you'll have a much better chance of implicitly encouraging the people around you to engage in design thinking. The minute you say, "prove it" in response to any new idea, you are making sure that that idea gets killed or that the person with the idea goes somewhere else to exploit it. VB: It's almost certain to lead to a focus on the past? Roger Martin: That's correct. And you cannot prove any new idea in advance. VB: Thank you for talking to us about why design thinking is the next competitive advantage. Dean Roger Martin describes how to open new paths to innovation by changing the way we think. He points out that a design-thinking organization combines proof-based analytical thinking with possibility-based abductive thinking. This style of thinking is key to the creative process because no new idea has ever been proven with inductive and deductive reasoning. Design thinking in organizations will continue to be critical in the knowledge intensive world where advancing knowledge is key to value creation and competitive advantage. Roger Martin describes it succinctly. "Design thinking powers the design of business, the directed movement of a business through the knowledge funnel from mystery to heuristic to algorithm and then the utilization of the resulting efficiencies to tackle the next mystery and the next and the next. The velocity of movement through the knowledge funnel, powered by design thinking, is the most powerful formula for competitive advantage in the twenty-first century." We dare not ignore Roger Martin's message.